The Chatham Athletic Association announced today that play-by-play broadcasters Cooper Boardman and Josh Schaefer will return in 2019 for a second season calling Anglers baseball. Boardman, a sophomore at Syracuse University, and Schaefer, a junior at Arizona State University, will broadcast all regular season and postseason A’s games live on the Cape Cod Baseball Network. “We are delighted to have Cooper and Josh back in Chatham for a second summer together,” CAA Media Consultant Dan D'Uva said. “Already among the most talented college broadcasters in the country last year, the chemistry they’ve developed and skills they’ve honed will make our 2019 broadcasts even more enjoyable and informative. For the 17th consecutive season, fans can enjoy all Chatham A’s game broadcasts, home and away, free of charge on the Cape Cod Baseball Network in conjunction with long-time service provider TRZ Teamline. Live audio online and by toll-free telephone number is available for all games. Enhanced video streaming is available for all home games. Each broadcast of Chatham Anglers baseball begins with a 20-minute pregame show, including The Manager’s Show with Tom Holiday and Catch of the Day featuring player guests. The Anglers Extra postgame show follows each game, complete with highlights and interviews. 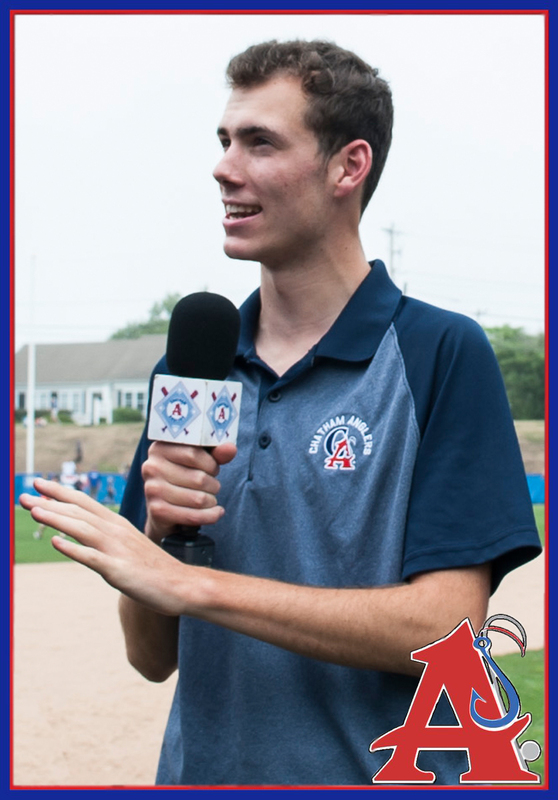 Additional broadcast content will be published on the Chatham Anglers’ digital media channels, including SoundCloud and YouTube. More information about Chatham broadcasts and the Cape Cod Baseball Network can be found at Broadcast Central. Boardman, a Westport, Connecticut native, is a broadcast journalism student at the S.I. Newhouse School of Public Communications at Syracuse University. 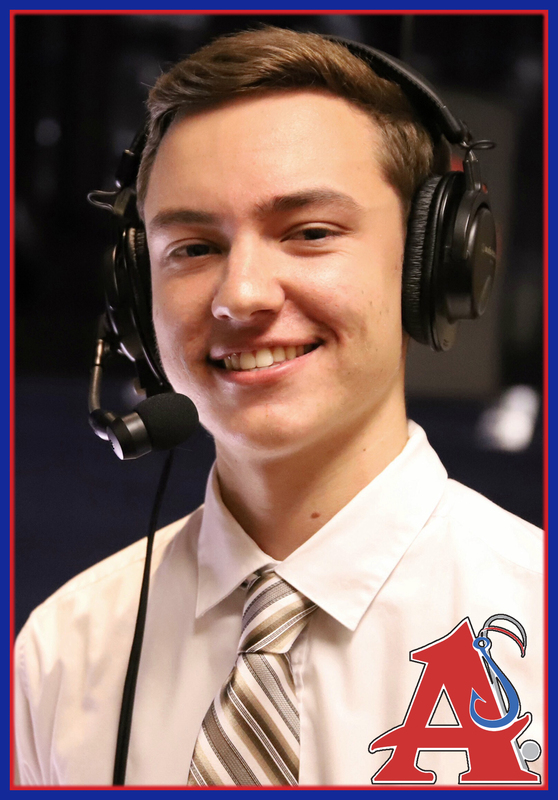 He was ranked as the 18th best collegiate broadcaster in the nation in 2018 by the Sportscaster’s Talent Agency of America (STAA), the only freshman on the list. He serves as sports director for WJPZ-FM and is on the sports staff for WAER-FM, SU’s student radio stations, and as a host for CitrusTV, the university’s student television station. Boardman also works as an intern for the Syracuse Crunch of the American Hockey League. A former video production intern for Syracuse Athletics, Boardman has covered SU football, basketball, soccer, hockey and field hockey in his time in Central New York. Boardman has prior experience in summer baseball with the Danbury Westerners of the New England Collegiate Baseball League and with the Chatham Anglers last summer. Boardman returns to Chatham in 2019 after hosting Catch of the Day and broadcasting all 50 regular season and postseason games last season. A native of West Hills, California, Schaefer is a sports journalism student at Arizona State’s Walter Cronkite School of Journalism and Mass Communication. He was ranked as the nation’s 19th best collegiate broadcaster in 2018 by STAA and was the only sophomore ranked in the top-20. He has served as a broadcaster for the Sun Devil baseball, hockey and softball programs on the Pac-12 Digital Networks for the past two seasons. Additionally, he is a play-by-play broadcaster and talk show host on KASC Blaze Radio, ASU’s student station where he was named Broadcaster of the Year as a freshman. He has covered baseball, basketball, football and softball for Blaze, earning two IBS Radio Award nominations for Best Hockey Play-by-Play in the process. Before joining Chatham for the 2018 season, Schaefer called games for the Arroyo Seco Saints in the California Collegiate League. He hosted the Manager’s Show and broadcasted all 50 regular season and postseason games for Chatham in 2018.